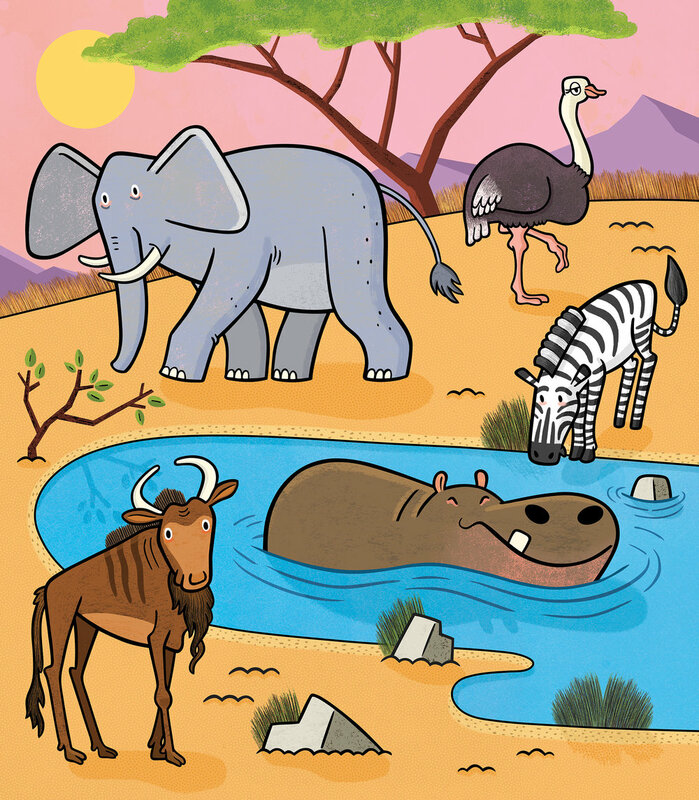 I've been so honored to create illustrations for the children's magazines of the National Wildlife Federation. 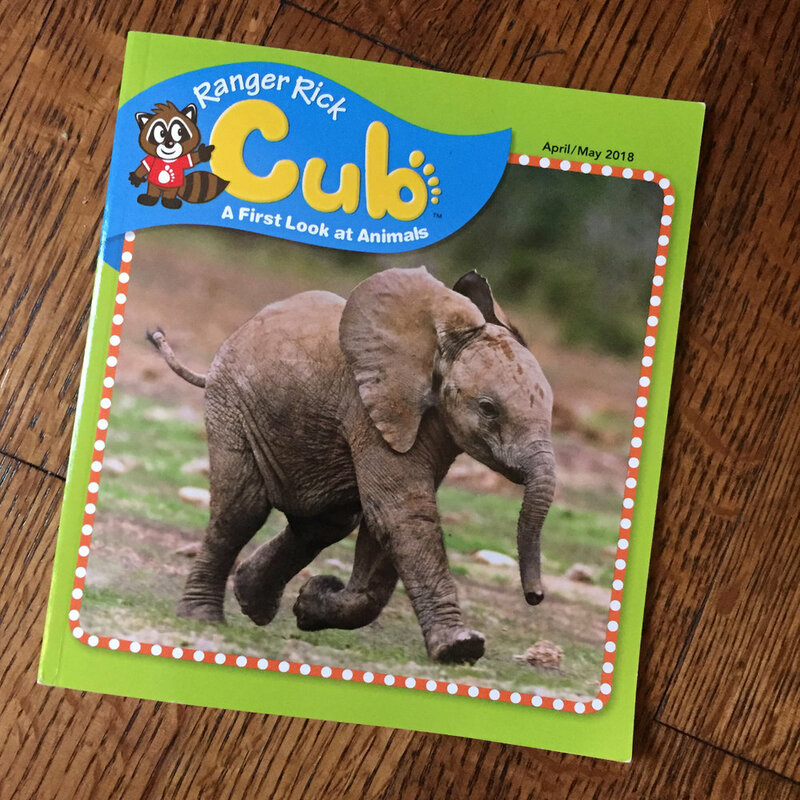 This one is for their publication for babies and toddlers, Ranger Rick Cub. It appears in the April/May, 2018 issue. 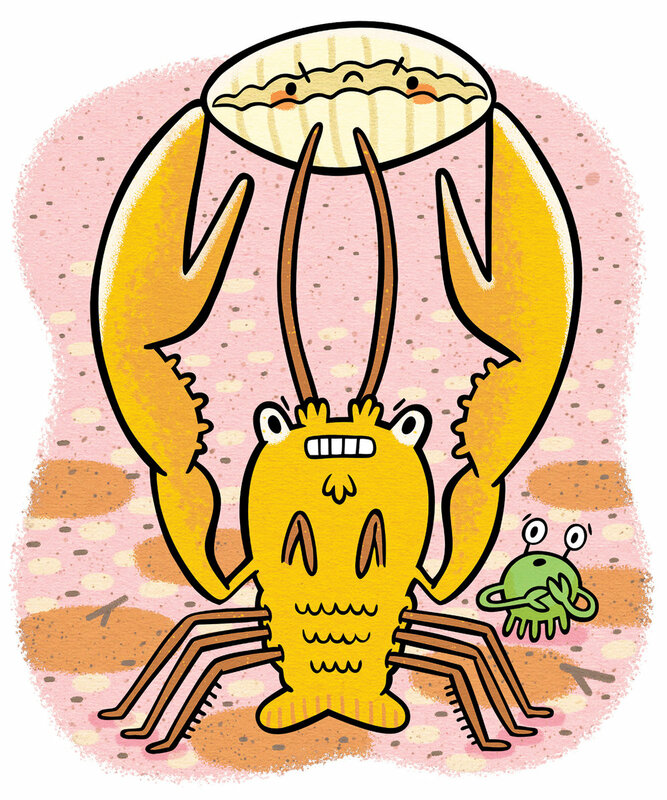 I consider working for Highlights one of the *highlights* of my illustration career! For the past few years, I've been contributing to their magazines for toddlers (Highlights Hello), for young kids (Highlights High Five), and bilingual kids (Highlights High Five Bilingüe). 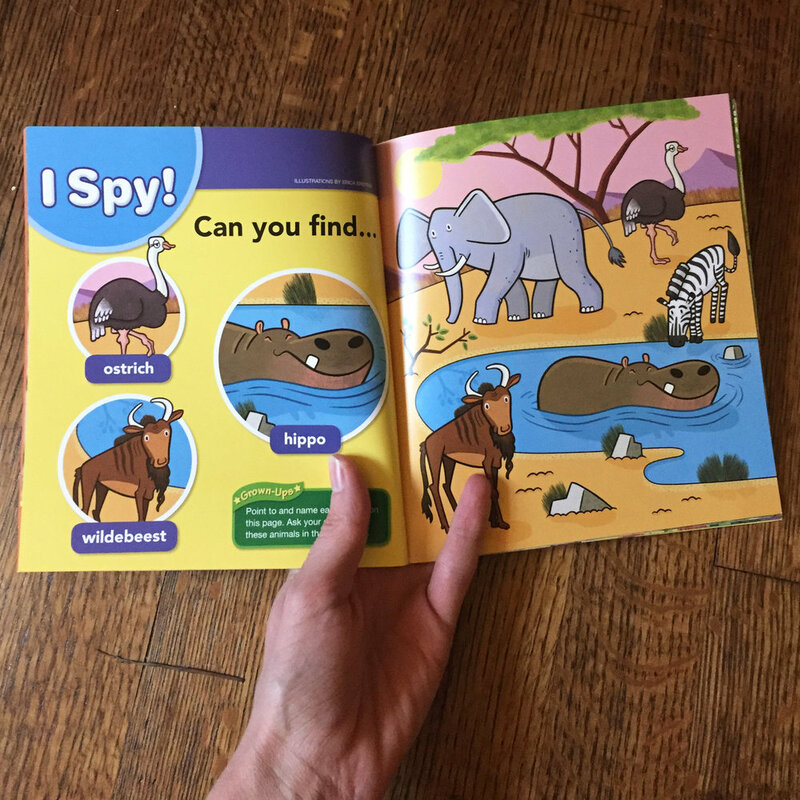 I've illustrated several "Look and Look Again" and "Find It" activities, which ask kids to spot the differences between two images or locate an item within an image, and "Action Rhymes," which use animal characters to demonstrate a simple exercise activity. 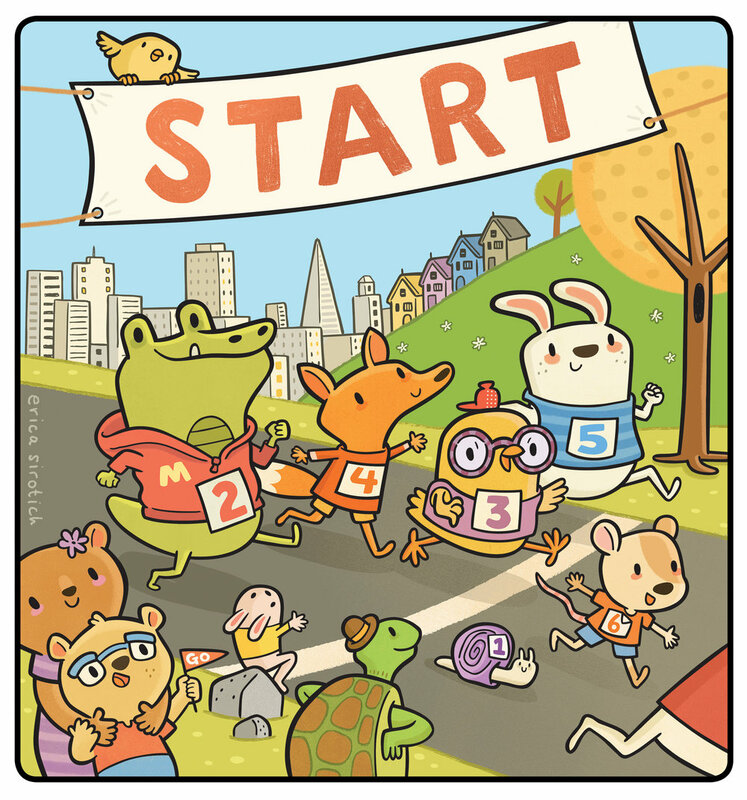 And I'm currently illustrating mazes for a Highlights activity book, which is so much fun! The kitchen "Find It" illustration (right) appeared in Hello's November, 2016 issue. Appears in the August 2017 issue. The circles feature photos of a child doing the exercises described in the rhyme. Appears in September, 2017 issue. Click the image below to reveal the differences between the two illustrations. Appeared in the October, 2016 issue. Can you find all the differences between these illustrations? Appeared in the August, 2015 issue. These little illustrations accompany photos of children doing the same activity as each animal character. A fun way to get kids moving! 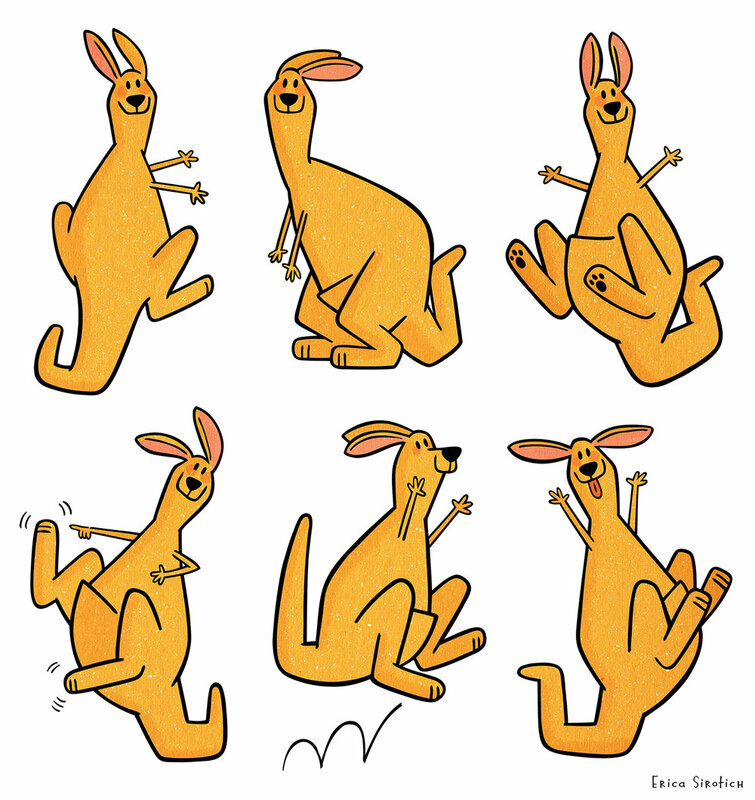 These spot illustrations appeared in High Five's July, 2015 issue. 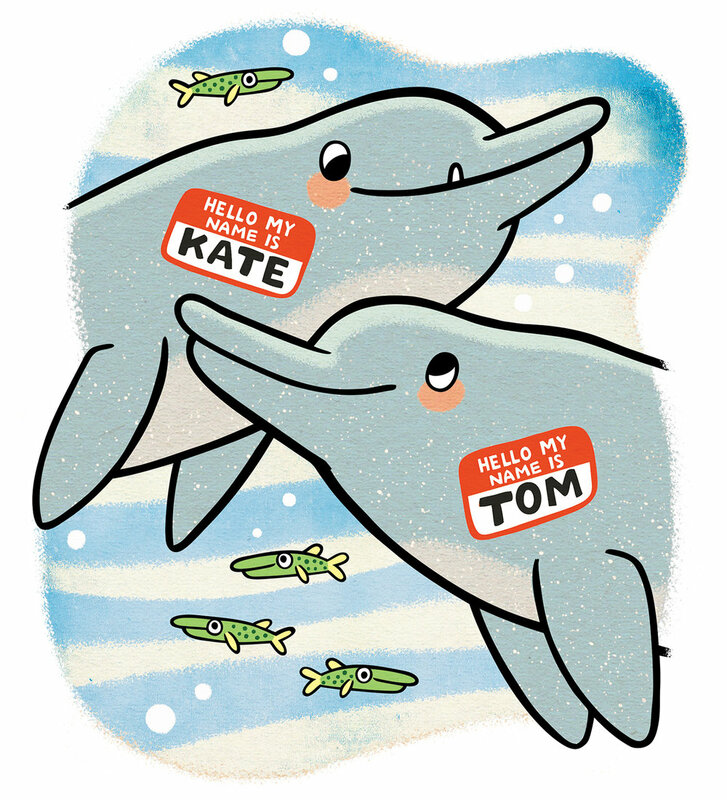 Another magazine I enjoyed working with is Cousteau Kids. I actually read this magazine when I was a kid because I was OBSESSED with whales, dolphins, and the ocean! These spot illustrations appeared in the Spring 2015 issue. 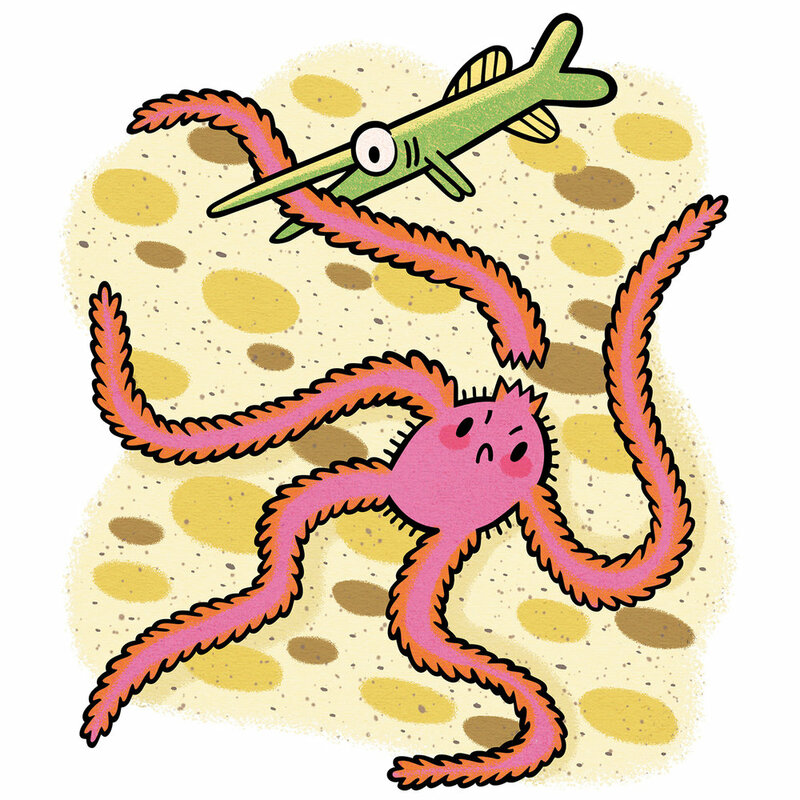 They accompany articles about brittle stars' regenerative limbs, dolphins' names for one another, sharks that bear live young, and lobsters that grow very big and strong.